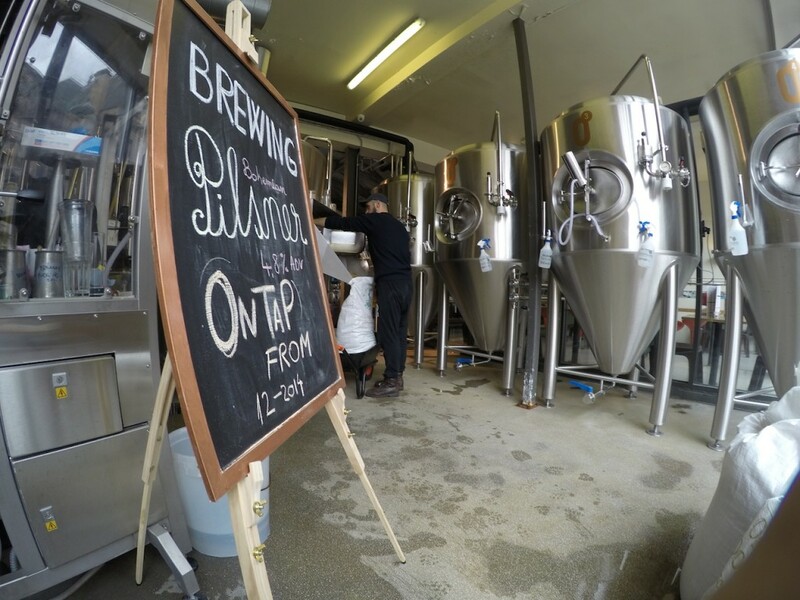 Zerodegrees, a group of four Microbrewery and Restaurants (in Blackheath, Bristol, Cardiff and Reading) are running Meet the #Brewmasters events on selected Saturdays through summer, so if you hanker after becoming a know-all connoisseur of craft beer, drop in. The complimentary events include an introduction to Zerodegrees, a brewery tour, beer tasting and Q&A with the resident Brewmaster who’s passionate about beer and really knows his stuff. The beer you’re served is the freshest you’ll get – unpasteurised and unfiltered, it comes direct from the serving tanks, and its free from preservatives and additives too. line up the craft beer! The menu even suggests what beer to sup on with your selected meal so you get a taste sensation you may not have savoured before. Our favourites included a Mango Beer, Strawberry Sour and the Wheat Ale (with notes of banana). If you miss the Brewmaster events, we’re reliably told that if you ring up you may be able to arrange to meet one of the Brewmasters for a chat anyway.